Broadly, if an individual’s total superannuation balance just before the start of the relevant financial year (‘FY’) is less than $500,000, they may be able to access an increased concessional contributions (‘CCs’) cap where the individual has not fully utilised their CC cap for one or more of the previous five FYs effective from 1 July 2018. Further details can be found in s 291-20 of the Income Tax Assessment Act 1997 (Cth) (‘ITAA 1997’). It should be note that the $500,000 figure is not subject to indexation. Generally, SMSFs are not required to report under the Australian Taxation Office’s (‘ATO’s’) transfer balance account report (‘TBAR’) regime on a compulsory basis until 1 July 2018. Though it should be borne in mind that some SMSFs may wish to commence voluntary reporting earlier than this date where members are subject to other TBAR transactions in respect of their APRA-regulated funds which have already commenced real-time reporting. SMSFs that have a member or members with a TSB of $1,000,000 or more will be required to report events impacting their members’ TBA within 28 days after the end of the quarter in which the event occurs. Similarly, for SMSFs commencing to pay retirement phase pensions on or after 1 July 2017, the fund’s reporting frequency depends on the above TSB milestones. However, certain defined events (eg, an ATO directed commutation) must be reported sooner. It should be noted that the $1,000,000 TSB threshold for TBAR is not subject to indexation, and an SMSF’s reporting frequency does not change once it has been locked in to a particular reporting cycle. Individuals under age 65 who are considering triggering a bring forward of their NCCs should check that they satisfy the additional TSB eligibility criteria in s 292-85(3) of the ITAA 1997. Assuming the relevant eligibility criteria are satisfied, an individual’s TSB immediately before the start of the first year determines whether they will be able to ‘bring forward’ between two or three years’ worth of the annual NCCs cap. In order to ‘bring forward’ the maximum amount of three years’ worth of the annual NCCs cap, the difference between the general transfer balance cap (‘TBC’) and the individual’s TSB at the test time must exceed an amount equal to twice the annual NCCs cap. For example, if an individual wishes to trigger a ‘bring forward’ period of three years starting from FY2018, the difference between the general TBC of $1,600,000 and the individual’s TSB must exceed an amount equal to twice the annual NCCs cap of $100,000. This means the individual’s TSB must be below $1,400,000. If the individual’s TSB at the test time exceeds $1,400,000 but remains below $1,500,000, the individual will only be able to trigger a ‘bring forward’ period of two years. TSB milestone #3 and TSB milestone #4 are subject to indexation due to the general indexation rules that apply to the general TBC and annual NCCs cap. Effective from 1 July 2017, SMSFs (and small APRA funds) will be precluded from using the segregated method to claim exempt income in certain circumstances. Section 295-387 of the ITAA 1997 sets out the criteria for this limitation applying and it is known as the disregarded small fund assets rule. One criterion for the rule applying is that a small fund member has a TSB that exceeds $1,600,000 just before the start of the income year where the fund has at least one retirement phase member. Broadly, one common scenario that would be caught by the disregarded small fund assets rule is where there is an SMSF paying a retirement phase pension to a member who has a TSB above $1,600,000 on 30 June. Under the rule, the fund would be required to apply the unsegregated method for calculating its exempt current pension income in the following income year. It should be noted that this $1,600,000 threshold is not subject to indexation. In order to have an NCCs cap greater than ‘Nil’ for an income year, an individual must not have a TSB equal to or exceeding the general TBC immediately before the start of the FY of the contribution. Accordingly, if an individual’s TSB immediately before the start of FY2018 equals or exceeds $1,600,000, then they cannot make any NCCs for FY2018 without triggering the excess NCC regime. It should be noted that the $1,600,000 threshold is subject to indexation due to the general indexation rules that apply to the general TBC. Note that having a TSB of more than $1,600,000 does not preclude contributions that qualify as a CGT cap amount under div 152 of the ITAA 1997. Similarly, such a TSB would not preclude downsizer contributions under s 292-102 of the ITAA 1997. However, the member’s TSB on the next 1 July will reflect these amounts plus any growth thereon. Section 290-230 of the ITAA 1997 sets out the criteria for when an individual is entitled to a tax offset for making an NCC to a spouse’s nominated superannuation fund. Notably, an individual is not entitled to a tax offset for an income year if, immediately before the start of the FY of the contribution, their spouse’s TSB equals or exceeds the general TBC. For example, if an individual’s spouse’s TSB immediately before the start of FY2018 equals or exceeds $1,600,000, then the individual is not entitled to a tax offset for a contribution made to a superannuation fund for their spouse in FY2018. Section 6 of the Superannuation (Government Co‑contribution for Low Income Earners) Act 2003 sets out the criteria for when an individual who makes NCCs to a superannuation fund may be eligible to receive a co-contribution from the Federal Government. One criterion is that immediately before the start of that FY, the individual’s TSB is less than the general TBC for that FY. For example, a co-contribution will be payable for the FY2018 income year if immediately before the start FY2018, the individual’s TSB is less than the general TBC for FY2018. Under the new super rules, many fundamental superannuation rights and entitlements are affected by the TSB. Accordingly, individuals and their advisers will need to carefully monitor their TSB as part of tax effective retirement planning. 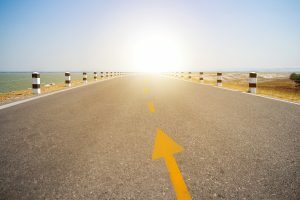 Given that most of the TSB milestones discussed in this article are tested at the end of the prior FY, there may be opportunities for members with a TSB around a particular milestone to fall within the desired TSB threshold by virtue of prior FY planning (eg, by paying additional benefits). Also, a member’s TSB may differ to the member’s account balance reflected in an SMSF’s financial statements. Broadly, an SMSF’s financial statements must reflect the market value of assets in accordance with reg 8.02B of the Superannuation Industry (Supervision) Regulations 1994 (Cth). However, broadly, a member’s accumulation interest in an SMSF can be reflected at it’s realisable value (ie, after disposal costs are considered). This may open up planning strategies where a member may otherwise be precluded from a particular strategy due to their TSB by having the member’s TSB revised to reflect the realisable value of the member’s accumulation interest which may open up the strategy, eg, the ability to make an extra $100,000 NCC. This is a complex area of law, and where in doubt, expert advice should be obtained. Naturally, for advisers, the Australian Financial Services Licence under the Corporations Act 2001 (Cth) and tax advice obligations under the Tax Agent Services Act 2009 (Cth) need to be appropriately managed to ensure any advice provided is within the bounds of the law. DBA Lawyers offers a range of consulting services in relation to superannuation fund members who need legal advice in relation to their TSB.